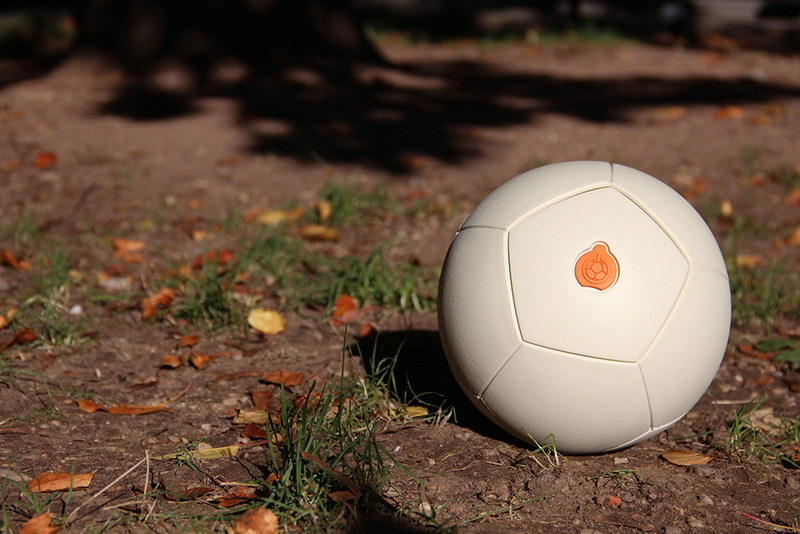 Created by Uncharted Play, the Soccket ball is a soccer ball with a small generator inside that creates electricity as a by-product of rolling & kicking it. The electricity produced can be harnessed through a small socket found on the ball, and it can power small 4-6 watt objects. The Soccket is aimed at helping low-income and impoverished communities around the world get access to electricity and improve their lives through a renewable source and a fun game. For this ad campaign, Thomas and I wanted the target audience to experience the message and the fun inherent in the product in a quick manner. We decided on an installation composed of a backlit poster and a Soccket attached to the ground through a metal spring. 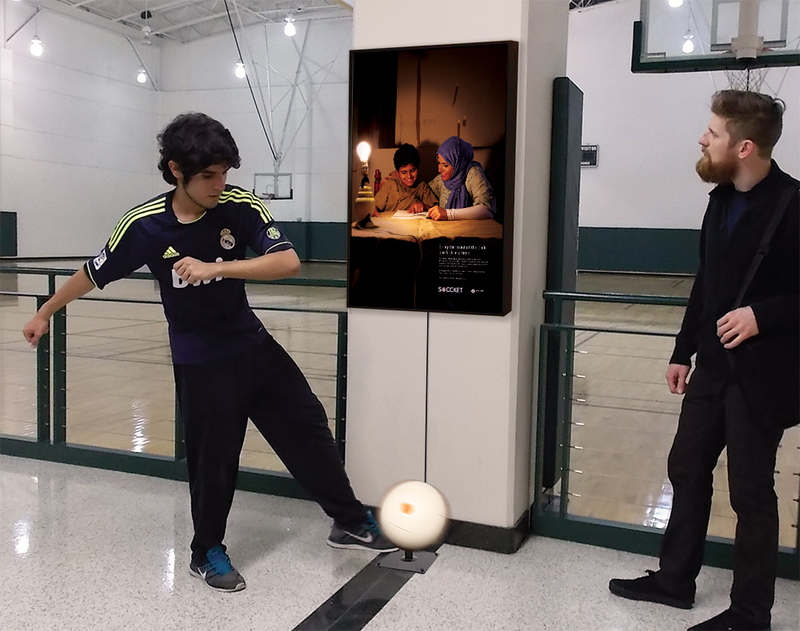 Anytime the ball is kicked the poster lights up, revealing the benefit the ball provides as well as the impact the audience can have on someone's life if they support this cause.